To Ay, one of the historic countries of the heart of the French Champagne region, lies the Maison Bollinger, founded in 1829 by Athanase Louis Emmanuel Count of Villermont, who chose to join in with Joseph Joseph Bollinger and wine enthusiast Paul Ranaudin. Over the years, having succeeded in imposing its own bubbles in the English and US markets, it was Joseph Bollinger who became the man-symbol of the Maison. Today, thanks to the privileged position of the vineyards and thanks to its rigid production ethics, which is even enshrined by principles written in writing, is now universally acknowledged for the great quality of its wines. To make an example of the rules that followed the company, it is enough to say that only the must from the first squeezing is used for the production of Champagne, while all that obtained with the second pressing is sold to other wineries. At present, the maison can rely on a vitally expanded extension covering over 160 hectares, most of which are divided between the mountains of Reims and the territory of Ay. Ranked over half as Grand Cru, and as Premier Cru for the rest, the vineyards are meticulously cured, so plants grow in full respect for the environment and ecosystem. In addition to pinot meunier and chardonnay, it is above all the pinot black the vine around which revolve the assemblages of the maison, which wisely uses the grapes of this vine, manages to confer to its Champagne richness, vinosity and roundness. 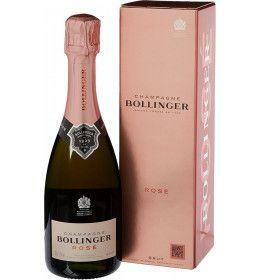 From the Brut "Special Cuvée" to Extra Brut "RD", from Rosé to the millennium, in the historic cellars of refinement, consisting of miles of tunnels, all Champagne labels Bollinger mature from three to eight years, far more than required by the disciplines , guaranteeing the perfect development of aromas and always expressing the best balance possible. 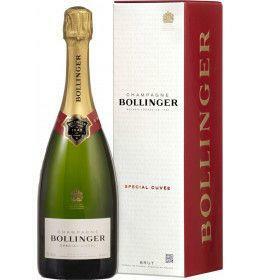 Champagne Brut Special Cuvée by Bollinger is one of the freshest wines offered by this French maison. It is the fruit of the delicate assembly between vintage grapes and a majority of reserve wines aged in magnum aged 5 to 15 years. It is aged for more than twice the time required by the denomination. Moderate dosage, from 8 to 9 grams per liter. Delicious.